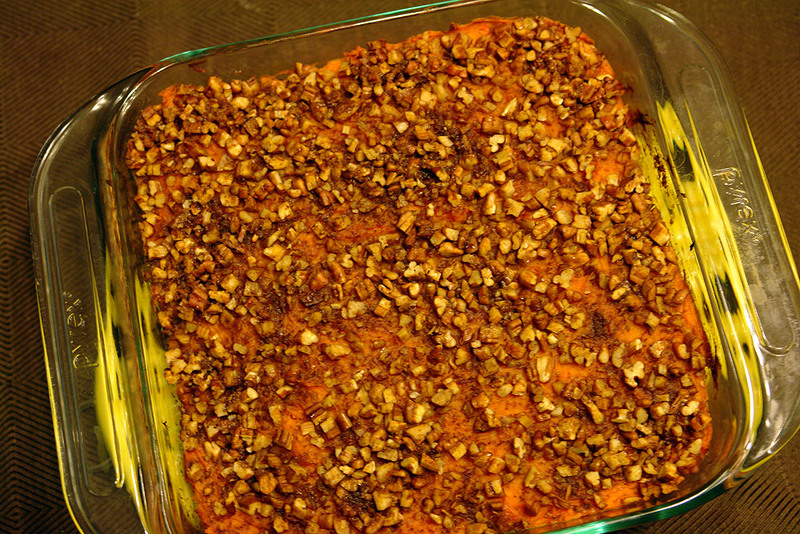 When I began researching Thanksgiving sides earlier this month for testing and sharing here, I saw Ellie Krieger’s sweet potato-pecan casserole recipe. It seemed simple, wholesome and yummy. I knew I’d try it before Thanksgiving to test it before making it a part of our meal, and it was as satisfying as I imagined, which means it will grace our table next week. Preheat the oven to 350 F. “Butter” an 8-inch square baking dish with coconut oil. Transfer the potatoes to a bowl and let cool slightly. Add the honey, egg, 1 teaspoon of cinnamon, the nutmeg, ginger and ~1/2 teaspoon salt; whip with an electric mixer until smooth. 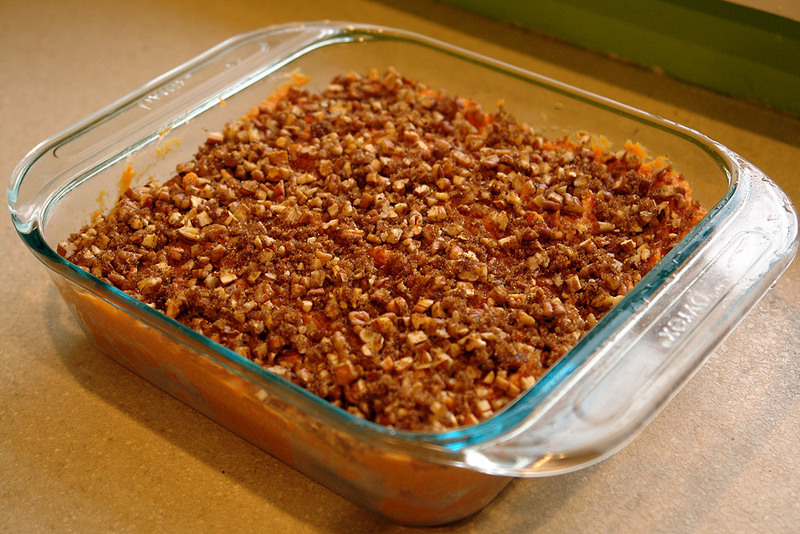 Spread the sweet potato mixture in the prepared baking dish. Mix the brown sugar, pecans and the remaining 1 teaspoon of cinnamon in a bowl; sprinkle over the potatoes. Bake until hot and beginning to brown around the edges, 40 to 45 minutes. 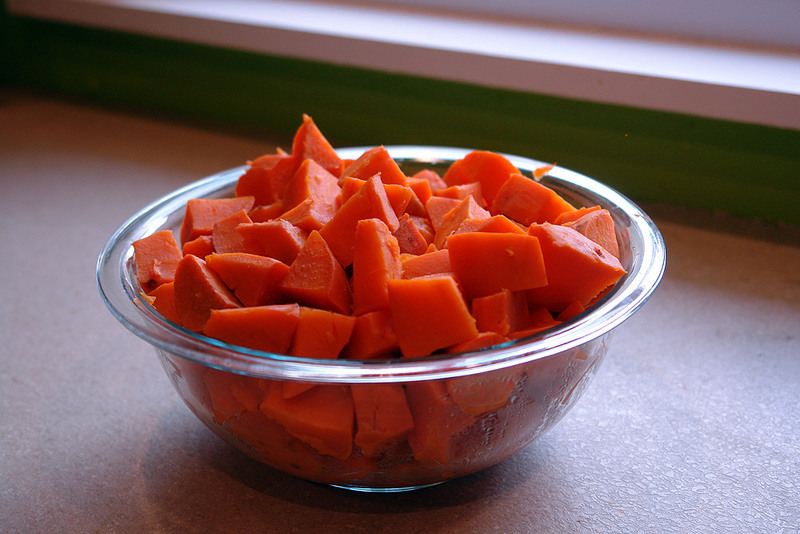 I love that the sweet potatoes are steamed in this recipe, rather than boiled or roasted. 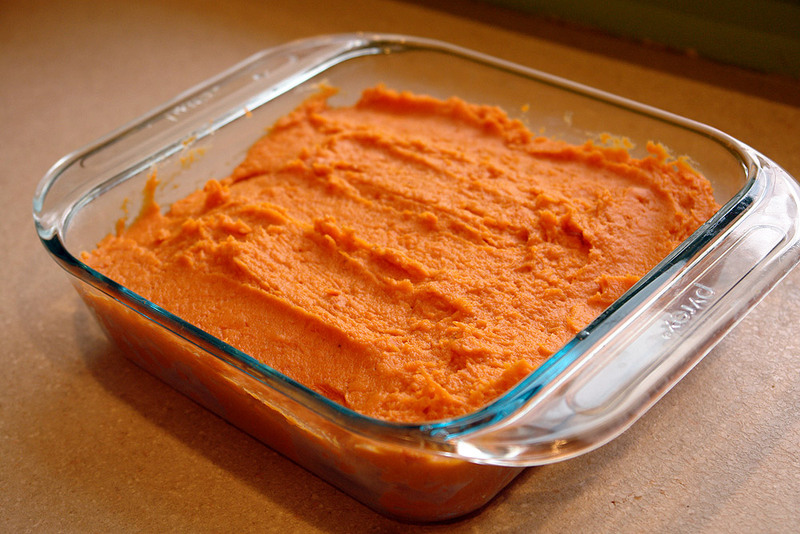 The end result is a tender texture, perfect for whipping, beating and mashing into casserole form. 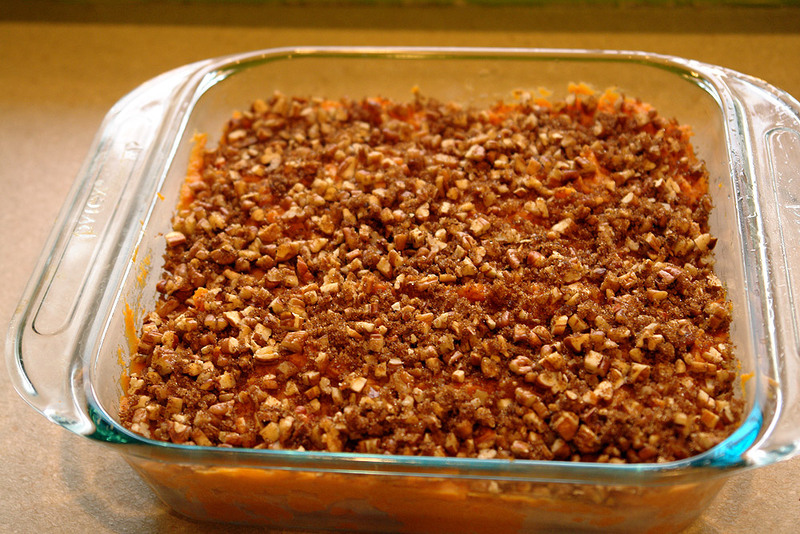 As you decide what you’ll bring as your dish to pass at Thanksgiving or finalize your own menu, consider this sweet potato dish. For those with nut allergies, you can easily eliminate the pecans. It is also completely gluten-free and vegetarian. Perhaps best of all, I purposely tested this dish for prepare ahead worthiness. I made the dish last Sunday night and then put it in the refrigerator and baked it on Monday evening. Delicious. It passed with flying colors, so now I can be confident it’ll still taste great if I prep it on the night before Thanksgiving.